Pop-A-Lock is an established proven system which generates an excellent ongoing income and true wealth creation for a qualified franchise candidate. B2B model leads to both business and consumer customers. Pop-A-Lock is consolidating multiple industry sectors that are fragmented that total over $150 billion in North America. 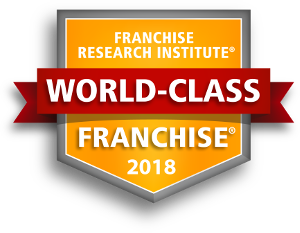 The franchisor provides top notch initial and ongoing business training and support for the franchisees and “state of the art” technical training for their employees. Clean, simple duplicate-able model. We provide services which are necessary expenditures, needed every day. The ability to follow a proven successful model. The desire to own a local “higher profile” business in the franchisee’s exclusive territory. The initial investment for an exclusive Pop-A-Lock service area: $29,000 franchise fee + exclusive territory fee, based on area population. Depending on your area’s population count your “all in” investment can range from $85,000 to a few hundred thousand dollars. Minimum net worth for the candidate $250,000. Pop-A-Lock is looking for the best and brightest business people. Please visit http://www.popalock.com/franchising.php or email franchise@popalock.com for more information. You may also call us, live, at 877-233-6211, to discuss your business goals, along with our area availability options. "The name "Pop‐A‐Lock" has become synonymous with quality locksmithing throughout the industry." "They recognize that each market is unique and allows the franchisee a lot of autonomy to make the appropriate business decisions that will benefit their unique market." "They helped me get started. They were a great launching platform into a business I would not have considered. They have an invaluable asset in Rob Reynolds." "Senior Managements availability is very good. Staff is very responsive. Excellent support from Rob Reynolds." "Field support is excellent. National account access and support is a big plus." "They help with any problems in a very timely manner."